It's always a nice way to have some accessories for your gadget that would help you use them easier. 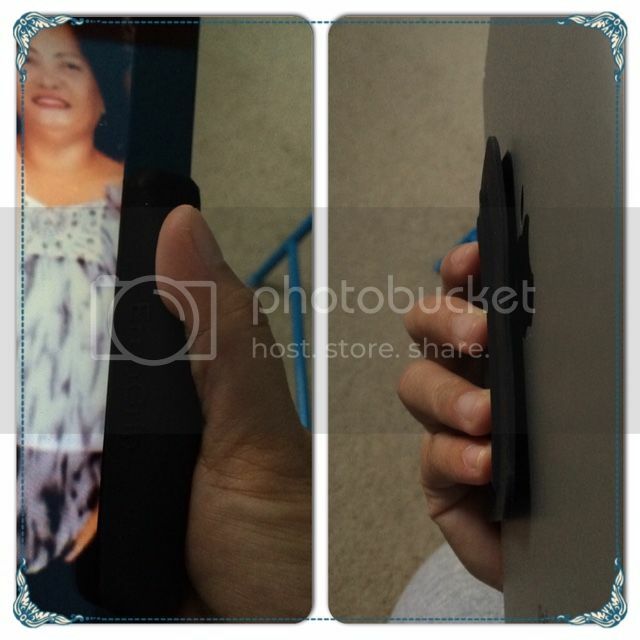 I have the opportunity to receive a comfort grip for iPads and Tablets from EgroGrip company for free. The shipment of the product comes very handy, I received it in the mail unexpectedly. No signs of damage and as I was opening the item which is wrapped in a bubble wrap envelope I never have the hard time to take it out from its packaging. Very seal and no need for installations nor manual. You'll know right away what and where it should attach. It has tiny plastic things that would hold the device in its place to prevent from hand stress and discomfort. I have to say that it indeed useful which relieves the strain on your fingers, but one thing that I have noticed after a day of using the ErgoGrip on my iPad2 was that it doesn't stick as I thought it should be. The holder on which your thumb supports aren't sticking as much, however, it does stick when you have to exert force on it. I am not sure if I'm the only one who experience this with the product, but other than that, this product is quite helpful to hold iPads and tablets. Just one thing that I am concerned with the Ergogrip is that it keeps coming off whenever I used it. Not sure if I need to clean my iPad's front screen to ensure that it will stay. But other than that, I would say this is a nice accessory to get if you need help to get a good grip of your tablet.